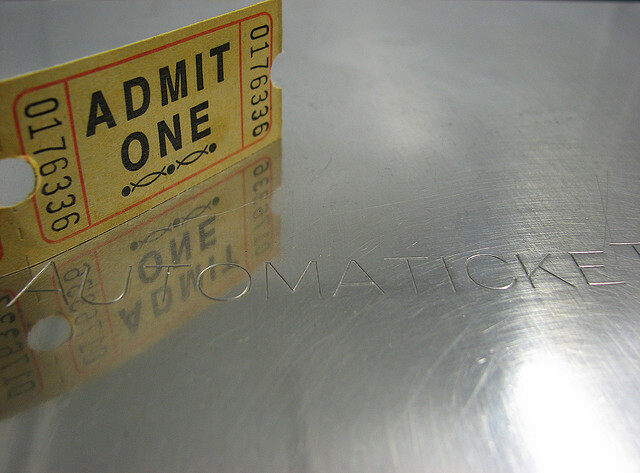 83% of people keep ticket stubs from games, concerts, and events they attend. Aside from the fact that I just made that statistic up, it’s an undeniable truth that most people are natural-born stub hoarders. We hold onto these flimsy, could-be-recycled-easily, bits of paper for one reason. Nostalgia. Some of us put our stubs into one place, like a jar or bulletin board, so we can view our collection of experiences at once and say things like “Hey, look, I’ve been to 27 Longhorns games in the past three years.” While the rest of us, just kind of leave them around, occasionally unearthing one in that pile on our desk, or in a drawer, and enjoying the instant reminiscence provided by finding old ticket stubs. Here at TicketCity we have boxes of old ticket stubs in our store room and more pinned up in our cubicles. We definitely understand the idea of ticket-stub-nostalgia (Feel free to try to work that phrase into everyday conversation). As the TicketCity marketing intern, I’ve been given the awesome job of sharing ticket designs with our amazing blog readers. For our first post, I’ve decided to share the tickets I’ve found around the office that make the best use of player photos. These tickets get my vote mainly for freshman player Isaiah Austin’s photograph. While the other Baylor tickets feature players making menacing faces, Austin takes the intensity to a whole new height (appropriately so with his 7’1” stature). On a different emotional level, the UVA players appear on many of the tickets sporting goofy smiles and exuberant attitudes. We all know athletes are intense, so it’s nice to see them showing how much fun they have playing. 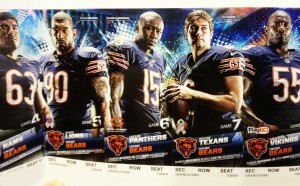 These tickets made the cut for their successful balance of emotion. On the right side you have a photo of a player (Tyson Chandler in this sample) in a mid-game pose, intensely watching the action. And to remind us that pro-athletes are in fact real people, the photos on the left show the player grinning and happy. 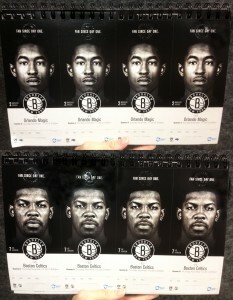 Maybe I’m just a sucker for black and white but the Nets tickets were one of my favorite use of player photos. Each game showed a stark photo of a different player, almost hauntingly emerging from the darkness. While not as intense as some of the others, these tickets effectively showcase each player in a focused spotlight with no distractions. Let me know in the comments what you think about these ticket designs, your own ticket stub collections, or any questions you might have. Get excited for the next ticket-stub-nostalgia post coming soon. If you’re hungry for more about ticket stubs, check out TicketCity on Pinterest and Instagram for more rockin’ ticket designs. Melissa is a Marketing Intern at TicketCity and currently studying advertising at the University of Texas.